ANOTHER Monday, another example of Kardashian kraziness. 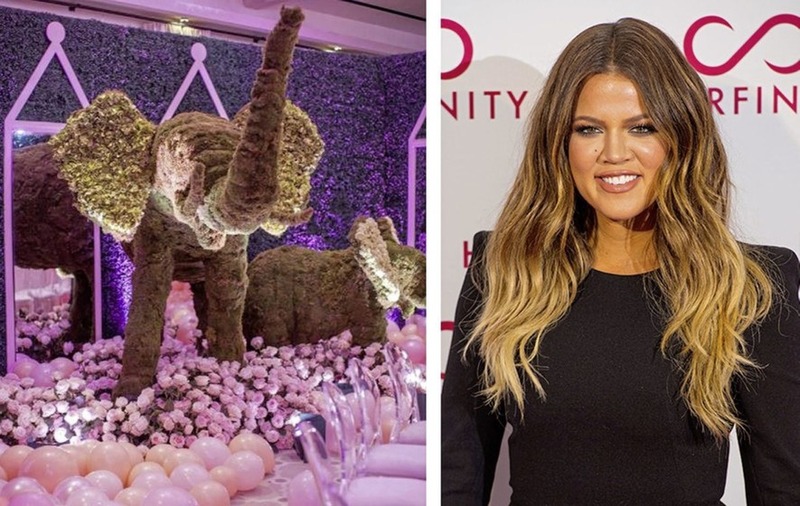 This time it’s Khloé Kardashian and the pink humdinger of a baby shower she threw ahead of her daughter’s arrival. 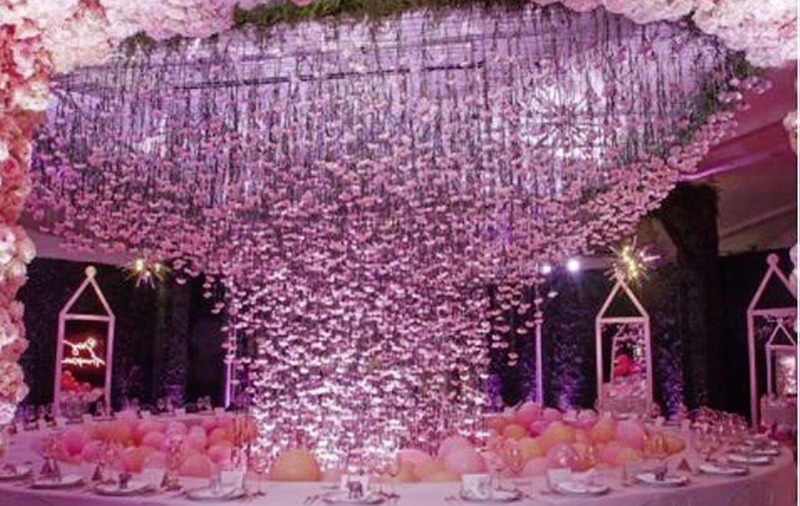 There were arches made of pink balloons, walls of pink flowers, a pink neon sign that read ‘Baby Thompson’, guests wore pink, the plates were pink, the cutlery was pink and chances are the steak was also served pink. 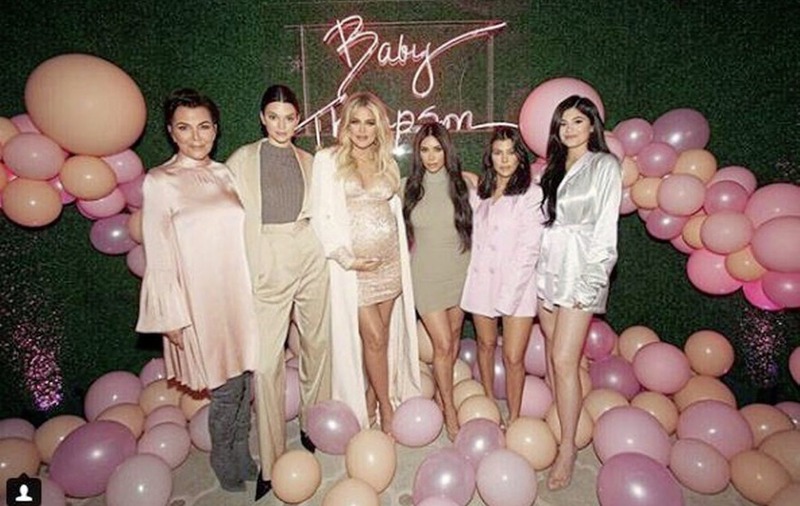 Her baby shower was sponsored by Amazon because Khloé couldn’t have afforded it otherwise. And FYI Kardashian fans, she’s registered her baby gift list exclusively with Amazon. Truth be told, instead of turning her baby’s birth into a business opportunity she’d have been better partnering with an organisation that helps struggling mums. Instead of buying gifts for a millionaire and her baby, Khloé’s friends could have donated money or bought items from an Amazon gift list which would be distributed to mums in actual, proper need. Rather than do that, Khloé has chosen items she really, truly needs – such as a $495 air purifier. If you’re reading this and thinking you’re a terrible parent because you’ve been using the window in your baby’s bedroom as an air purifier there’s not much Sleb Safari can do for you. You’ll have to answer to your child when it grows up happy and healthy. Also on there is a lounger for infants which retails at $175, a $305 breast pump, $650 crib and $350 mattress as well as a $65 owl night light and a $31 box of wet wipes. Prettttty sure she could have sprung for those wet wipes herself. It’s the baby gift list equivalent of putting shower gel on your House of Fraser wedding list. Most importantly, Khloé has added a Kindle to the wish list, which even an infant knows is the most essential bit of kit in the changing bag. The good news is that there’s a $10 bath toy and Sleb Safari has already bought it before any other tight-wad could move on it. 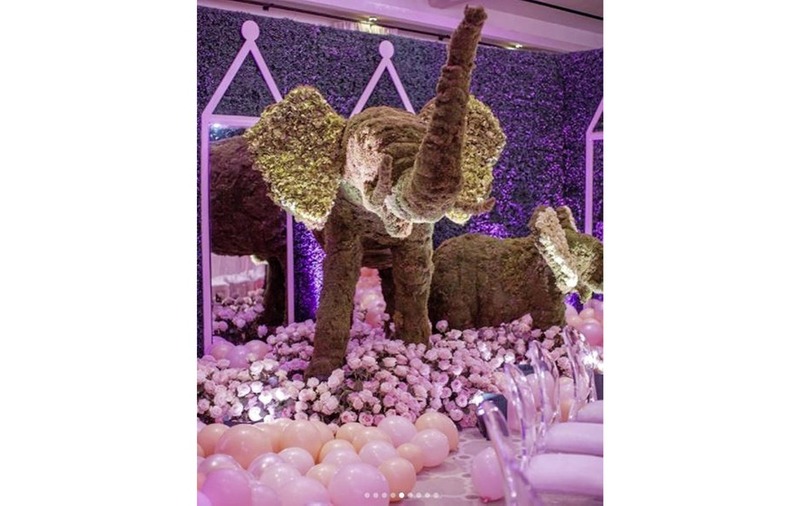 The only thing missing was a pink unicorn but Kris Jenner is likely paying a team of scientists handsomely to genetically engineer one in time for the baby’s first birthday. Khloé is very excited about her baby’s arrival. But what’s the baby going to do when you’re in the bath Khloé? Days before the baby shower Kris took Khloé shopping and spent thousands on nice things for the nursery so between that shopping trip and the Amazon deliveries that are about to start piling up on Khloé’s doorstep this baby is going to be well looked after. Hey, they’re the Kardashians and fans would be disappointed if Khloé didn’t have a solid gold potty, velvet wet wipes and a team of baby chefs on standby to serve up organic, vegan mush to the new arrival. It just wouldn’t be kricket. 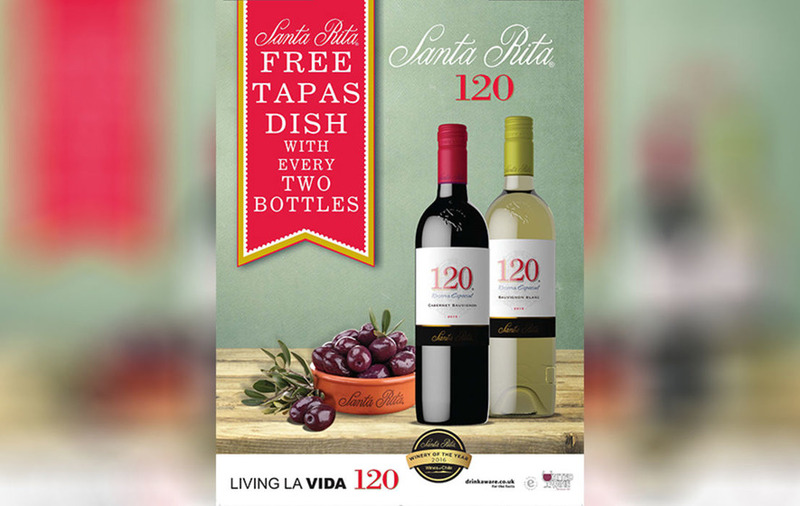 SLEB Safari is giving away two bottles of Santa Rita 120 and a tapas dish today, courtesy of United Wine Merchants Ltd.
Santa Rita 120 is an homage to the 120 people who sought refuge in the Santa Rita wine cellars while fighting in Chile’s war of independence. The range includes Sauvignon Blanc, Chardonnay, Cabernet Sauvignon, Merlot, Cabernet Franc and Malbec. What language is spoken in Chile? Email your answer to competitions@irishnews.com and put ‘Sleb Safari/Santa Rita 120’ in the subject line. Closing date is noon on Wednesday March 21. Usual Irish News rules apply. You must be over 18 to enter this competition. 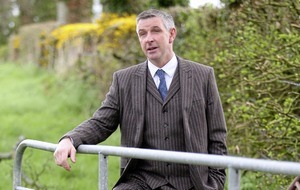 The winner of last week’s competition for two weekend passes to niFITNESS show is Allan McCurdy from Belfast. Congratulations! RIHANNA was attacked by her then boyfriend in 2009. It was high profile; she's high profile; and years later she said that having to talk about it made her re-live it and that it felt like she was the one being punished repeatedly, despite being the victim. With all that in mind, Snapchat published an ad that asked people whether they would rather "slap Rihanna” or “punch Chris Brown". It has since apologised and said the ad had been approved in error. Rihanna rejected that apology in a strong statement. "Now Snapchat, I know you already know you ain’t my fav app out there! But I’m just trying to figure out what the point was with this mess! "I’d love to call it ignorance, but I know you ain’t that dumb! You spent money to animate something that would intentionally bring shame to DV victims and made a joke of it!!! "This isn’t about my personal feelings, cause I don’t have much of them... but all the women, children and men that have been victims of DV in the past and especially the ones that haven’t made it out yet… you let us down! Shame on you. Throw the whole app-oligy away." Olive has a working mom. So, I came up with a couple of systems. One of which is “THE CALENDAR”. It has been very successful recently. I circle with sharpie every day I will be traveling. And I ask her to mark the day with an X once it’s done. That way she can see that I am gone at first, still away in the middle, and then coming back towards the end. She now has a good sense of my geographic place from the globe. She knows when I am leaving and coming home. I always explain to her that I love my Job. I don’t say “I have to go work” with a grimace on my face, because I fear it will make her feel negative about something a lot of moms must do to provide. My friend once said “never make your child feel like work is the bad thing taking you away from them” and I realized a lot of us tend to do that to try to make our kids feel better and that work is the yucky thing taking us away. It’s a good intention, but I am convinced I need to take a different approach. I want to empower my daughters to think work is good and necessary. And can even lead them to road of their dreams. I feel guilty as hell for being away (and what mother doesn’t?!) But i try a way to empower me and my kids into something more positive. I don't blame work, i own the responsibility. I will be patient when she is upset if i am away. 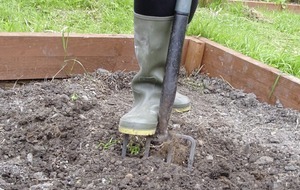 But i wanted to give her a tool, so she could understand and gage life when i am working. Like a hand made calendar. And watching my daughter follow through with as an exercise, is so rewarding. And calming to my concerns about teaching her to grasp life. I also send her a postcard everyday at Summer camp where she walks to a mailbox and pulls out my hand written card. She knows what stamps are. And snail mail. And then she carries them in her back pack. And has even started to write me back. And we save them all in a box. Like I said, I’m trying to balance life to make it as great as it can be, and we have to find ways that are authentic and true to who we are. I tried a few methods at first... and if you ever want to corespond with Olive, don’t face time with her. I learned that the hard way.